Given an exclusive access by two (Climate Camp and Plane Stupid) environmental and climate change protest groups, Emily James (director, camera) followed them in their endeavors as they enthusiastically executed their plans by putting up camp sites in air strips, super gluing themselves to each other to form human barricades, and serving cups of tea to bystanders to show their passionate sense of responsibility for the future. Having studied documentary directing at the National Film and Television School, James is quite learned in this field and has already received various international awards for her other works like The Luckiest Nut in the World (2002), Don’t Worry (2004), and What Would Jesus Drive? (2006). 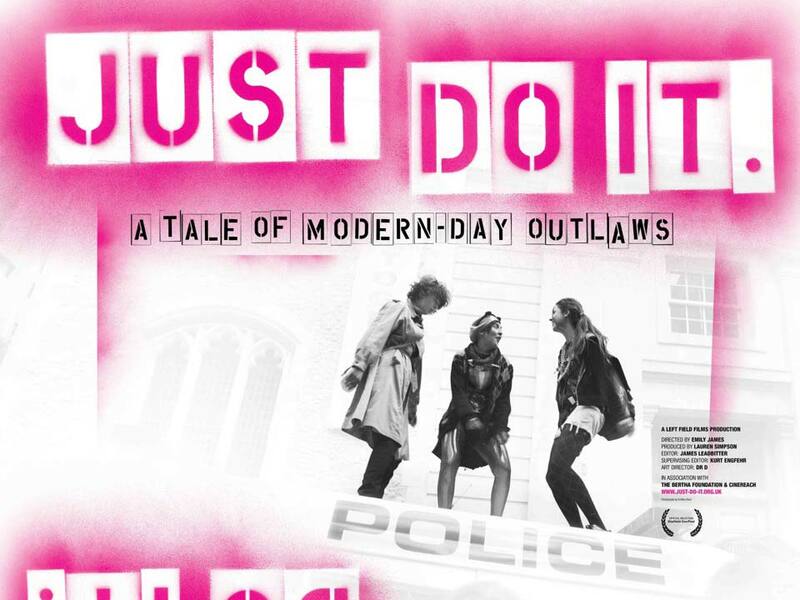 Just Do It follows Marina Pepper, a very optimistic person that believes offering local police a cup of tea will have a subversive power and effect to their cause. The film quickly jumps from place to place across the United Kingdom and over to Denmark with a sense of rapidity and secrecy to prevent the authorities on closing down to them. One key point in the documentary is the way the protesters deal with the police. They’ve developed a remarkable technique called “dearest”, a moniker for “the arrest”, wherein they will simply grab hold of the arrestee, creating an unwieldy human mass and the exasperated officer will just give up and go elsewhere. Ever since the Ian Tomlinson Death, the authorities have a gentler approach to street demonstrators thus the confrontations has a calmer and rather comedic quality. Just Do It provides the suffice amount of media coverage that the environmental direct action needs. Crowd-funded and mostly made with Do-It-Yourselves and home-brewed anarchistic vibe, it strictly sticks to its nature of being an anti-capitalist movement while giving voice to the other side, which is usually misrepresented by the mass media. It surely serves rousing stuff and is a stepping stone to the future of activism.